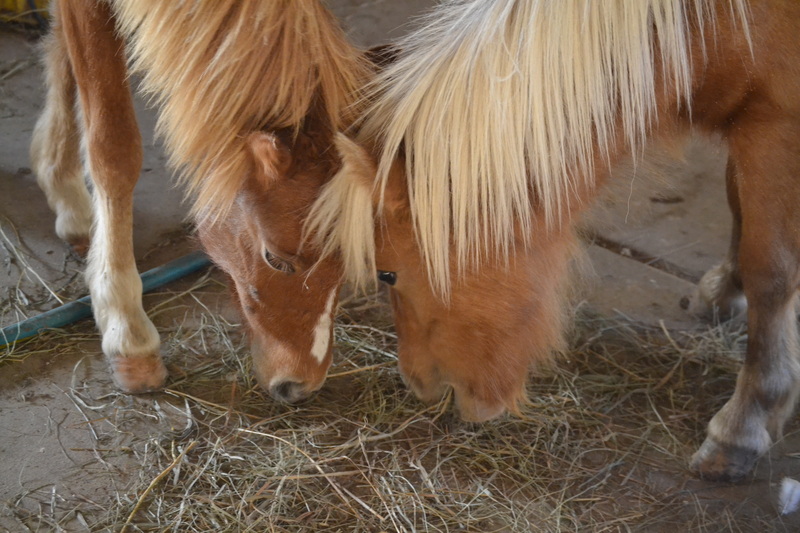 Four years and two days ago, my ex-husband and I loaded up two tiny ponies and brought them home to stay. 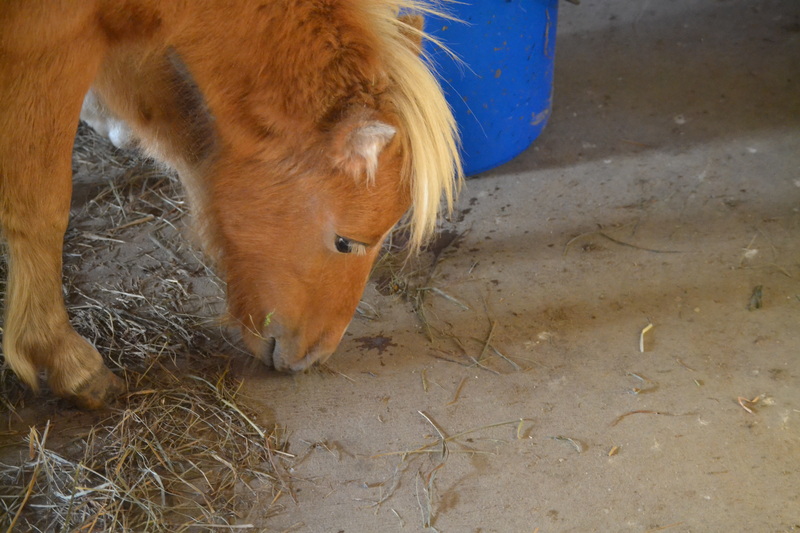 One was a little, palomino filly with a deep love of cuddles, and one was a little, chestnut colt with an attitude that outpaced his stature. They were an anniversary gift from my ex-husband (probably the best gift he ever gave me), adopted from one of my favorite animal rescues, Guardian Oak in Moberly, Missouri. 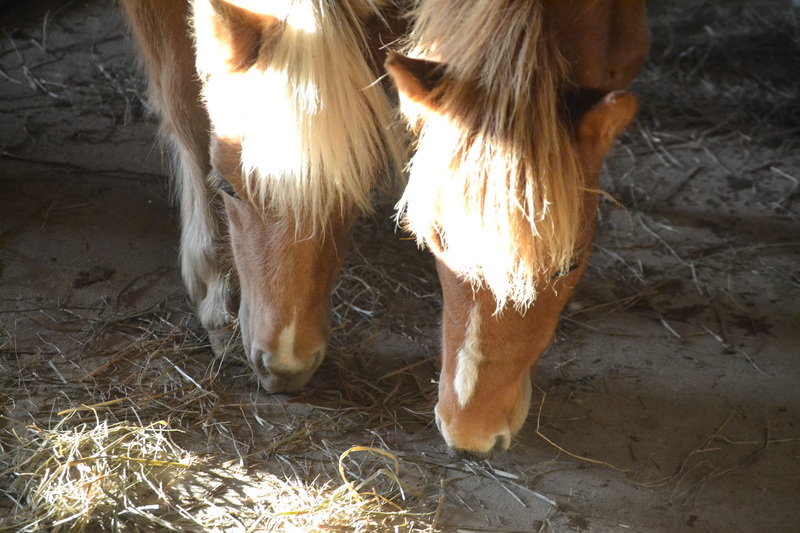 Both had been rescued from the New Holland auction with their mothers. I met them originally when they were just a few months old. 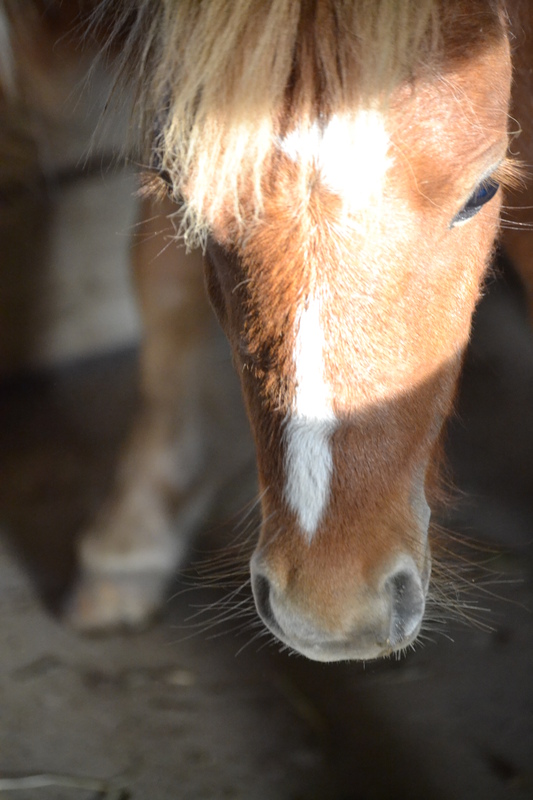 They were as cute as buttons and so small my ex picked them up to trim their hooves. September 4th was our four year wedding anniversary. Let me tell you, we are not good at anniversaries. They always begin with the best plans, and somehow, by the end of the night, something has gone sideways, creating a day far different than imagined. For example, this year, we ended up taking care of emergency shoeing stops in Columbia, MO, five hours from home. Our anniversary dinner was especially romantic: Steak n Shake…drive through. We at burgers and fries and drank milkshakes while laughing at the absurdity of it all. Despite all of this, I must say, my husband knows me exceptionally well: he bought me a perfect anniversary gift. 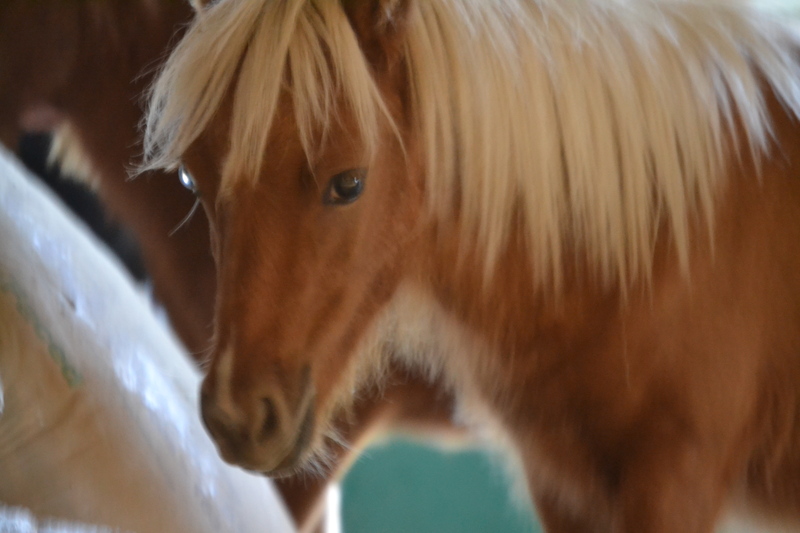 Violet is a yearling mini mare who was originally rescued by Guardian Oaks from the New Holland Auction with her mama when she was only a day old. She is tiny, barely standing past my knees, and is very sweet. Jeremiah adopted her for me. Keep in mind, Jeremiah has often claimed that the four horsemen of the apocalypse will ride in on mini ponies. As a farrier, he’s dealt with some monstrous ones. Why? 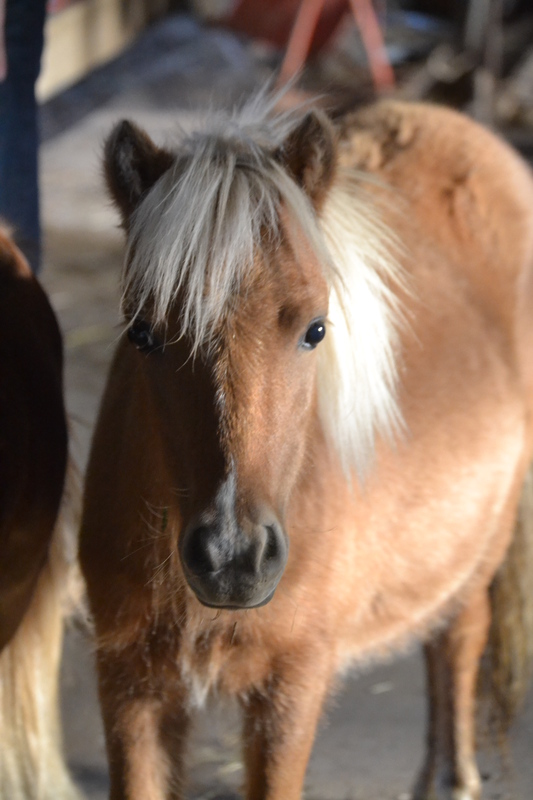 Because they’re small, and not intimidating like a bigger horse, minis are often owned by people who don’t know the first thing about horses: People who try to treat them like big dogs…which they are not. They often end up mishandled and difficult. (He is usually not a fan of minis, but he knows I like them, so he found one for me.) This little girl, unlike many of her breed, has been appropriately handled since the beginning, and it shows. Oh, and did I mention we brought home an extra? His name is Slash, and we brought him along as company for Violet. 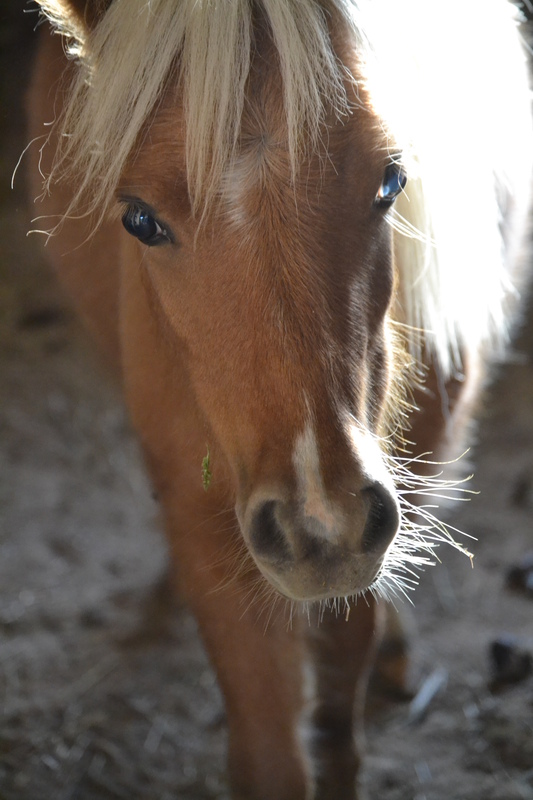 Right now, he’s a foster pony, but one of Jeremiah’s farrier friends may have a home for him. If she doesn’t, well, we’ll probably just send in his adoption fee and keep him ourselves! Isn’t he adorable? We brought these little munchkins home on Tuesday–had to literally pick them up and place them in the trailer as they are both too small to make the jump–and they seem pretty happy with us. I haven’t decided whether or not to rename Violet yet. I can’t quite put my finger on the perfect name. In the meantime, I call them my bitty babies. Bonus? 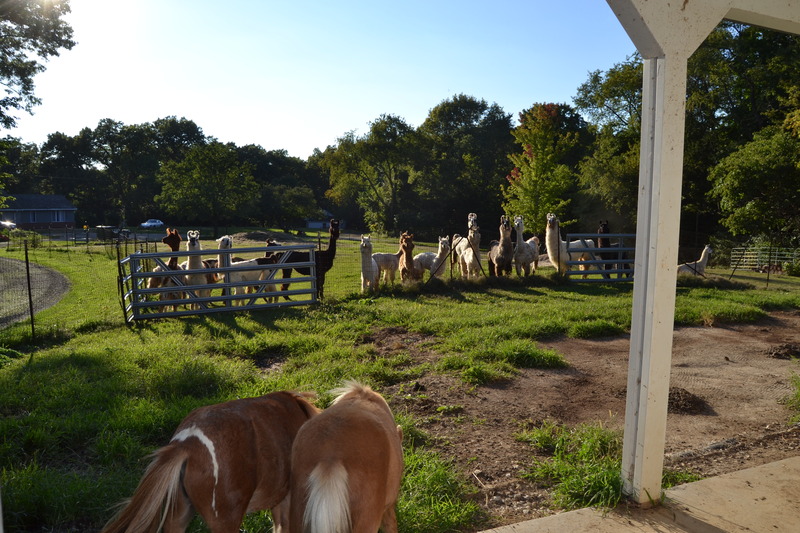 Check out the llamas checking them out. 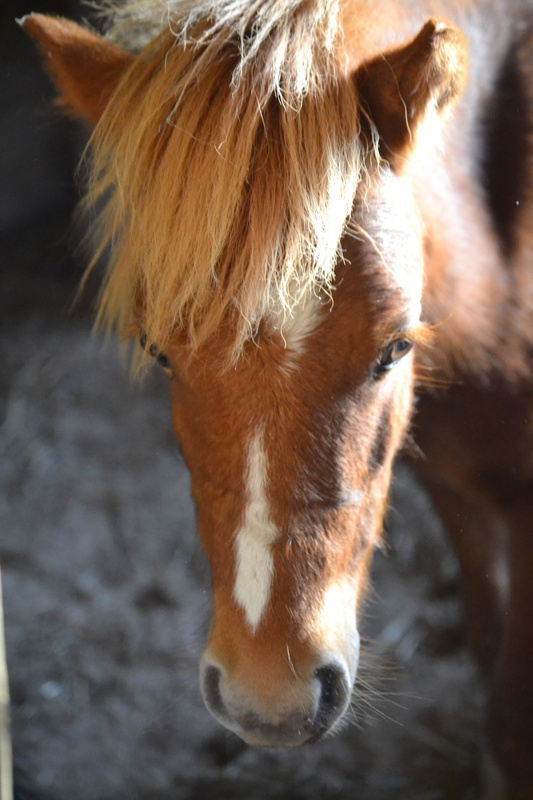 Once we move back to the farm and I have more time, I’m hoping to really work with Violet so that someday I can have her certified as a therapy animal for use in nursing homes, etc. (I have my eye on a couple of my llamas for the same purpose.) In the meantime, aren’t they just as precious as can be?